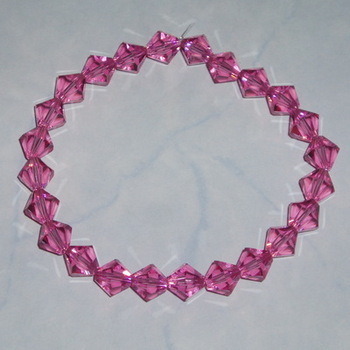 Fabulous and sparkling, Swarovski Crystal Bicone Stretch Bracelet. perfect for Weddings or Bridal wear, or for wearing to a Prom or Special Occasions, or just to add a bit of sparkle to an outfit. Made with 8mm Genuine Swarovski crystal beads in clear, clear AB, rose, rose AB, pale sapphire, pale sapphire AB, peridot, peridot AB, amethyst, amethyst AB, siam, siam AB, jet, jet AB, sapphire, sapphire AB, emerald, emerald AB, topaz, topaz AB, blue zircon, blue zircon AB. 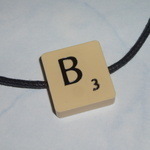 Just choose the bracelet size you require and write the colour you want in the box. The thumbnail photo shows a Pale Sapphire bracelet and the photo above shows the Rose bracelet. Each bracelet is handmade to order, so please allow 7 working days for dispatch.